Let’s talk about a fun and engaging way to teach your children world geography in your homeschool! Learning more about world geography encourages children to grow into global citizens. As travel and communication become more advanced, our world seems to be becoming smaller! Understanding and appreciating cultural differences between countries breaks down the barriers of prejudice and racial divide, which is necessary in today’s world. I was recently introduced to an amazing new website called The Worldly Adventures of Archibold Clutterbuck & Friends – yes, it’s a fun as it sounds! In this blog post I’m delighted to share my family’s experience with this Free online learning platform and some of their products. We’re also hosting a GIVEAWAY! Scroll down to the bottom of the blogpost for more details. This blogpost was written in collaboration with The Worldly Adventures of Archibold Clutterbuck & Friends. They kindly gifted me the products in this review, and compensated me for my time. World geography is one of the most fun subject to teach because there are so many ways to approach it. The world is literally your oyster! How does Archibald Clutterbuck work? The Worldly Adventures of Archibold Clutterbuck & Friends is a FREE online learning platform where children can come to learn about world geography and discover more about the world they live in. YouTube channel – Numerous animated videos to start your child off on a self-directed learning journey. Videos include, “Top 5 – European Landmarks” and “Top 5 – Waterfalls” and many more. It uses entertaining animated characters and scenes to keep children engaged in their learning. Shop – The website currently stocks a colourful world map in A1 or A2 size, a continents explorer’s journal, and stickers. Their products are high-quality, and compliment the learning material available on their website. How can I use it in my homeschool? The Worldly Adventures of Archibold Clutterbuck is an open-ended learning resource that encourages self-directed learning. 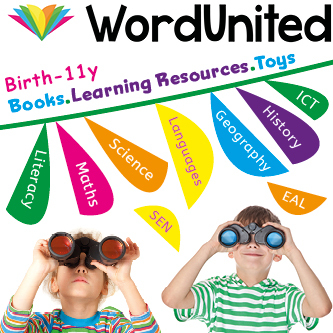 By utilising children’s innate curiosity about the world around them, these resources help children to develops research skills as they answer their own questions through independent research. Through the website, youtube videos, and worksheets, children are taught to be resourceful, looking for the information they need and deciding in which direction they want to take their learning. We have used the Archibold Clutterbuck A2 World map and Explorer’s journal to compliment our study of world geography and prompt further exploration!. For example, in our last lesson, the boys began by watching a video about different world festivals on the Archibold Clutterbuck YouTube channel. Then they decided to follow that up, by watching another documentary about the Chinese New Year. We looked at the A2 World map to identify China, and used the map to discuss its physical characteristics. We also had a look in an old atlas we have at home. Then the boys used the internet to learn how to say “Happy New Year” in Madarin, and wrote it in their Continent Explorer’s journal! It was so much fun, and the boys developed important life skills as they learnt about China and it’s culture. By researching and directing their own learning, with the gentle prompting from the Archibold Clutterbuck resources, the children are learning the skills they will need to be independent learners for the rest of their lives. If you prefer screen-free learning, all the resources in the Archibold Clutterbuck Shop can be used with books and other learning resources you already have at home. The Explorer’s journal has note-booking pages for the continents, landmarks, flags and much more. It’s a wonderful resource to encourage children to think more deeply about the world around them. Another lovely idea would be to take the explorer’s journal with you when you travel with the children. They can fill in the sections as they witness the geography firsthand on their family holiday! What a great way to learn! I am thrilled to be sharing some beautiful educational resources from The Worldly Adventures of Archibold Clutterbuck and friends for one of my lovely followers. The giveaway will run from Monday 3rd December 2018 until Monday 10th December 2018 at 12pm GMT. To enter, visit my INSTAGRAM or FACEBOOK accounts, and follow the directions. I’ll announce the winner on social media and contact them directly. For more information about The Worldly Adventures of Archibold Clutterbuck, visit their WEBSITE. You can also follow them on Instagram, Facebook, and YouTube. As a Muslim homeschooling family, I wanted to create a curriculum that aligns with our values, and helps us to live a life together that we love and that I am passionate about.. Using the Charlotte Mason philosophy to guide my decisions, I have designed a homeschool curriculum that nurtures my children’s love for learning, ignites their innate curiosity, and empowers me as their teacher and mother to teach with confidence and joy. Inspired by Charlotte Mason, I have tried to bring God to the heart of every subject, and connect everything with our creator. This blog-post contains affiliate links. See Disclaimer for more information. I needed a curriculum that made me excited to wake up in the morning! I needed a curriculum that would touch the hearts of my children! I needed a curriculum that I couldn’t wait to learn from myself! But I couldn’t find one out there! So, with the help and inspiration of many other Charlotte Mason resources, I put a curriculum together myself. My eldest son is 8 years-old, and my youngest son is 6 years-old. Please assume that the resources outlined below are used by both boys, unless indicated by a (8) or (6) in brackets. However, as the boys use most of the materials together, please consider this curriculum suitable for children in 1st-3rd grade, year 2-4 in the UK. And I’ve made a little video to go along with this blogpost too. ENJOY! If you’d like to see the curriculum we used last year, when the boys were 7 and 5, CLICK HERE! Our study of English is based around reading, copying and narrating back high-quality literature and poetry. We have chosen, as recommended by Charlotte Mason, to delay the study of grammar and spelling until our children are at least 9 years-old. We make out own handwriting sheets on Worksheet Works using excerpts from books we are reading, poetry or ahadith. It’s a wonderful free resource! These are books that I plan to read-aloud to the children, in addition to other subjects. We may use Audible to listen to some of them in audiobook form. Little House Series by Laura Ingalls Wilder (8) – Note, there are some unacceptable racial terms used in these books. We use this as an opportunity for conversation and growth insha’Allah. We use Audible A LOT! If you would like to try it out, they have a FREE TRIAL on at the moment, where you get your First Book Free, you can cancel anytime, and you’ll still have access to that book! We do not follow a specific reading curriculum. The children are not forced to read any particular book, but rather are given a choice and then are required to read aloud to me 2-3 times a week. They also have 20 minutes free-reading in the afternoon, where they can read whatever they want…even car magazines! I hope that this relaxed approach will encourage them to develop a love of reading, rather than it becoming a chore and only a “school subject”. Billy and Blaze Series by C. W. Anderson (6) – We LOVE this series! It is our aim to read poetry aloud everyday , even if only for a few minutes. Sing Song – A Nursery Rhyme Book by Rossetti – Please note, some of these poems maybe unsuitable for sensitive children. We will be looking at one play each term. I feel more comfortable presenting plays that have less romance in, as so we will be beginning with The Tempest. For Maths, we are using the wonderful Life of Fred Math Series. My 8 year-old are currently working on Kidneys and my 6 year-old on Butterflies. If any concepts requires further reinforcement I will use other online resources. A favourite of mine is Math Mammoth. My boys attend Arabic, Quran and Seerah classes outside of the home. However, we also do incorporate many Islamic sciences into out homeschool schedule, as well as trying to refer back to our creator or deeper lessons whenever they arise in our school day. Nature study forms the foundation of our scientific learning. Through the study of nature I hope the children will learn to observe, records and question what they see around them. More formal science lessons will start when they are older insha’Allah. Our focus this coming year will be Trees, and Star and Planets, although we will learn about other things things that interest them along the way too! In addition to this, the boys often refer back to the atlas when a new place in mentioned in their history or literature books. Our focus for history this coming year wil be the late medieval period, the Tudors and Stewarts. We will also focussing on Seerah, and studying the life of Prophet Muhammad (pbuh). We have a HUGE selection of history books that we use to teach this subject. For more information, to see this extensive book list, please read the blog-post about it or watch this video. My children are learning Arabic and French this year. They attend Arabic classes outside of the home, and so my primary focus during school-hours is to teach them French. Every term, the children learn about a new artist and become familiar with there artwork. If you’re not sure what Artist/ Picture study is, you should read this blog-post or watch this video! We are taking a very relaxed stance on artwork this year, allowing the children more freedom to draw and create in ways that excite them. For this, we will use Pinterest or Youtube for ideas or tutorials. My eldest son has expressed an interest in learning to type. For that we are using TypeKids.com. You can read my review on this programme HERE. My younger son expressed an interest in joining a local Lego club this year. If you’d like to know more about Lego clubs, Click HERE. I’m so excited for this coming year ahead and to use these fabulous resources with my children; resources that I believe truly reflect our values. And, I’m looking forward to sharing that journey with you too! If you have any questions, pop them for me in the comments below! Picture study is one of the easiest components of a Charlotte Mason education to incorporate into your homeschool curriculum. You do not need to know anything yourself about art, or art history. I repeat …You do NOT need to know ANYTHING about art or art history to begin. All you need is knowledge of the method and a few worthy resources. Why is Picture Study important? In today’s society, the importance of the arts has been superseded by STEM and the other sciences. We have lost touch with the great artistic masters of past. Now, the masses only see fragments, distorted reproductions of the original genius of these men and women. For most of us, the only exposure we get to great art might be a coffee shop using the Mona Lisa in it’s logo, or a travel advert for Japan using a work of art by Hokusai. Many of us will have heard of Leonardo Da Vinci, or Claude Monet, and will have seen their art used in advertisements on billboards and the TV, but have little to draw upon from our own education. Just as the great works of literature give us glimpses in the the mighty thoughts of the world’s great authors, so too picture study can give us insight into the ideas and minds of those artists. It puts children in touch with worthy ideas and inspires them with something more than modern life can offer. Picture study offers our children a store of images in their mind, to balance out the media’s influence and attempt to monopolize their senses. From the ages of 6 to 15 Charlotte Mason recommended that children become acquainted with at least thirty of the world’s most famous artists. I have filmed a short video, showing glimpses into our own Picture study lesson, in the hope that it will make what is written here clearer. First begin by choosing the artist you wish them to study. In our first year, we began with Leonardo Da Vinci as it was easy to find the resources we needed, and I was slightly familiar with his work. However, please remember, you do not need to know ANYTHING about the artist before you begin. In fact, it will only add to your enjoyment of this subject, as you find yourself learning alongside the children. The next step is to find six works of art by that artist for that school term, and studying three different artists per year. Display one of those pieces in front of your children, and ask them to look at it closely, in silence. Allow them plenty of time to, not only absorb it, but to think and ponder over it. Then, when they are finished, hide the art from them and ask them to describe it. Try your best not to prompt them with leading questions, like “What colour was her dress?” or “What was the weather like?” Just simply say, ” Tell me about it.” They will almost certainly not remember everything, but they don’t need to. By narrating in this way, they are performing a much higher thought process; of observing, processing, recalling and articulating those thoughts in their own words. If you prompt too much, you are in danger of having your children become dependent on your questions, like we often see in school comprehension worksheets and multiple choice questions. Allow your children to think for themselves. If your child is not used to narration, and is struggling to recall it or articulate his thoughts, then let him see the painting as he narrates. It is difficult skill to develop, so take it slow and try to keep the atmosphere joyful. For older children, you can allow them to sketch from memory what they saw if they would like to. The next step is to display that piece of art somewhere in your home so that the children can see it frequently through out their day. The following week, repeat the process with the SAME piece of art. You will hopefully find that your children have more to say! It can be helpful to tell the children a little about the artist or the painting before you begin. If the painting is about a story, it can be helpful to tell your children this story before you begin the picture study. Likewise, knowing a little more about the artist they are studying, will help them to form connections with him/her. Knowing more about the mind behind the art will encourage your children to look more closely at the work itself. After 2 weeks, switch to another piece art by that same artist. In so doing, your child will some to know at least 6 of the artist’s works each term. That’s an incredible achievement! For the art prints themselves, I would always recommend getting the largest prints you can find and display easily. Postcards and images in art textbooks are often too small for multiple children to see at once, and inevitably loose the finer details. Another option, is to look for larger “coffee-table books” on a specific artist. You can usually find some in your local library or on Amazon. The organsiation Simply Charlotte Mason also produces lovely Picture Study Portfolios that contains eight prints and a handbook.We have not tried these ourselves, but I have heard they are a excellent. Children’s artist biographies can also be found at the library, but I would strongly recommend pre-reading these so you can omit the less-wholesome parts of the artist’s lives that young children do not need to know about. However, it may be worthwhile older children knowing the full picture, as these parts of their lives will have inevitably influenced their art, and will make for meaningful discussions with you. During their lesson, we use a wooden cookbook stand to hold the calendar or book. From the age of fourteen, art history is incorporated into the Charlotte Mason curriculum, where children learn how the artist worldview would have influenced their art. The picture study lessons will take no more that 10-15 minutes a week, but the influence that they have will be lifelong. To be able to store “a couple of hundred pictures by great masters hanging permanently in the halls of [their] imagination” is a worthy endeavor. It you have any questions about picture study please leave them for me in the comments below. Thank you for taking the time to visit our blog and read my thoughts on this topic. Teaching science in your homeschool can be difficult without the right curriculum. You have to consider your child’s learning style, find ways in incorporate hands-on learning, coding, technology, and all within your budget! Despite these difficulties, my kids love science and so I have been looking for ways to include more supplemental science into our homeschool curriculum without adding to much to my own workload! We follow the Charlotte Mason philosophy in our homeschool, and so I was looking for something to supplement our existing curriculum. I’m excited to share what I found! This post is sponsored by Homeschool Buyers Co-op who compensated me for my time. All thoughts and opinions are 100% my own, please see my Disclaimer for details. Where can I find Science Homeschool Curriculum? The Homeschool Buyers Co-op has an award-winning selection of science and technology products, including core science curriculum and supplements, coding and programming courses, hands-on experimentation, and more. They offer Science & Technology curricula with savings up to 95%! Isn’t that incredible?! Doing hands-on experiments at home can be a challenge for even to most seasoned homeschooler, especially as your children get older. The Homeschool Buyers Co-op has an impressive range of science curricula specifically for hands-on learning! I can’t tell you what a relief it was to me as a homeschooling mum to find these resources! What about Technology and Coding? I don’t know about you, but I don’t remember much about technology frim school, and I’m still not sure I know what coding is! Thank goodness there are homeschool curricula available to teach this for me. The Homeschool Buyers Co-op offer a range of technology and coding curricula to chose from, all with significant savings too. If you’re like me and live outside the U.S. it can sometimes be frustrating to find homeschool curriculum. The great thing about Homeschool Buyers Co-op is that many of the curricula that they offer are online, so you don’t need to pay for International shipping! Even if you do live in the U.S., an online Science curriculum is a great way to save money without compromising your child’s education. So, if like me, you have been worried about how to teach Science in your homeschool, I would encourage to visit the Homeschool Buyers Co-op and see the choices they have on offer. If you have any questions, please leave them for me in the comment below. We have just completed another term of nature study in our homeschool; this time focusing on British birds. Nature study is one of our most-loved subjects and part of our Charlotte Mason inspired homeschool curriculum. Below, I have listed all the resources we love and have found useful in the study of birds; including living books, beautiful children’s literature for all ages, reference books, preschool picture books, our treasured nature journal supplies and more! This blog post contains affiliate links. See Disclaimer for more information. Make sure you WATCH THIS VIDEO to get a closer look at these resources and take a peek inside the books! Here is a selection of wonderful literature about birds; stories that are infused with scientific facts, as well as noble morals, memorable characters and moving storylines. A charming collection of 15 short-stories featuring various wild birds from around the U.K. This is the diary of a naturalist who rescued an abandoned owlet from the woods and hand-reared it at home. This true story also features tips on how to keep your own nature journal and original black-and-white photos. A beautifully illustrated book about all the animals found in the woods. Perfect for children aged 5-8 years old. This collection has been a great source of poetry for memorisation and for copying into our nature journals. My children are still talking about this delightful book! Press the buttons and hear the bird song of 12 different woodland birds. This board book also has interesting facts about each bird. Set in New York and utterly charming! A sweet story about chickens that children under 5 will enjoy. This book has been such an asset to us these past few months. We have used it to sketch the birds from into our nature journals. For each bird you are given a variety of large high-quality photos and plenty of information. This lovely little book is our trusty guide to identifying birds when we are on nature walks. It is small enough to carry with us, with just enough information to help us identify any new birds we see. Looking a Nature is a collection of nature-study lessons for children aged 4-11. It is perfect for those people who are unsure how to begin the study of Nature in their homeschool. This charming book is an lovely introduction to nature study for children under 6 year-old. This book from Usborne focuses on birds from many different habitats. It discusses many aspects of their behaviour, life cycle, indientifaction and some myths and legnends! The illustrations are beautiful too! OK, confession time…I don’t have this book….But I want it! Bird Bingo – A delgihtful board game featuring birds from all around the world. A Guide to British Garden Birds CD or Audible. Learning about the Bird Songs has probably been my favourite aspect of the study of British birds, and this CD played a massive part in that! I highly recommend it. At the moment, you can get it for FREE with the Audible Trial. If you’re not confident at sketching birds, this YouTube video is fantatic. My boys followed along and really enjoyed it. There is nothing quite so heart-warming as seeing tiny birds, of many coours and varieties, flock your garden, to eat the seeds you put out. They even develop a routine so you know what time each bird will arrive at your feeders that day! Birds feeders, if placed close enough to your windows, can even be a way to do nature study on those days you cannot leave the house. Your local park or woodland is a fantastic resource for you and your family. Get outdoors and explore the nature to see these incredible birds first-hand. Your example and enthusiasm for nature study will influence you children far more than any book ever could. If you, as a parent, enjoy learning about birds and take part in nature journalling yourself, you children will be eager to follow your example. And besides, you might actually learn something…right?!!? The power of words, their ability to turn hearts and move men should never be underestimated. In fact, it has become one of the few truths that I stand by: that words can change the world. One of the greatest proofs of this are the scriptures of the Abrahamic religions. Muslims, along with Jews and Christians, are called the “people of the book” and it is through the Divine words of revelation that God chose to guide us; words that forever changed the world. Words, in their ever varied and beautiful forms, also make up the backbone of our literature-based homeschool. It is by the craftsmanship of the many great authors we read, that my children gain knowledge and are inspired to learn. Through the words of others, they are taught what it means to be human; the good, the bad and everything in between. The beauty of well crafted words sometimes catches me off guard, as if placed in my path for a reason; to remind me, teach me or just to make me smile when I need it the most. One such occasion was when we were visiting a local park. Despite having been to the same park for years, it was only on this visit that I noticed a small second-hand bookshop hidden above the ice-cream parlour. After the ice-creams were enjoyed, we all ventured up the narrow wooden staircase in the lofted roof. Tucked up under the eaves were hundreds of second-hand books, neatly arranged on old mismatched bookcases. The delight of finding this “secret” treasure-trove was not lost on my children, who quickly set about scouring the shelves looking for “the” book for them. Tucked upon the first bookcase were two gems; the first of which was an old copy of Enid Blyton’s “The Enchanted Wood“ published in the 1960’s. The second was “Discovering Poetry: Vol 4 Freshfields,” a collection of nature poetry collected by E. W. Parker. In addition to these, my youngest son carried home a hardback copy of Stories from Winnie the Pooh by A. A. Milne as though it was the most precious thing in the world. Back home, over a cup of tea, I opened the poetry book and the first poem that met my eyes made my heart flutter. I can’t make out if it was a pang of recollection from a distant childhood memory, or simply the power of the poem’s vivid imagery. I read it over and over again, and it made me smile. Words can do that; they can bring joy and delight when before there was none. Then I read it to my kids. With their eyes closed and the room quiet, they felt it too. They told me about, “The lost road,” and “The horses hooves,” and they talked together about how roads were different in the olden days. They got it. They saw it in the minds and they felt the words. Together we enjoyed those words, written many years ago by a man we never knew. Those words brought us closer. That poem is now something we share, like an inside joke or a happy memory. By exposing my children to these great authors and poets, who are masters of their craft, I hope that my children will one day be able to yield the power found within words and use it for a noble purpose insha’Allah. One day, when they are grown, and they hear the words of that poem again, it will trigger something within them and make their hearts flutter as they remember; and then perhaps they will pass these words onto their children. Words connect us, they move us, and so too can they shape us. That is why I raise my children upon the best of them.